In just two seasons, Clarkson University sophomore standout Elizabeth Giguere has already established herself as one of the top scorers in program history. She has also established herself as one of the best in women’s college hockey. Last week, Giguere was named a top-10 finalist for the 2019 Patty Kazmaier Award, presented annually to the top women’s college hockey player in the nation. Giguere is most certainly worthy, leading the scoring race with 23 goals and 63 points through 34 games. She also leads the nation with 40 assists as well as in plus/minus with a plus-54. Giguere, who has scored five short-handed goals, has at least one point in 29 of 34 games, including 21 multiple-point outings, and was named November’s ECAC Hockey Player of the Month. Giguere shattered the Clarkson freshman scoring record last season, reaching 100 points faster than any other player in women’s program history. She has 50 goals and 134 points in just 75 games. One in particular is linemate and fellow star forward Loren Gabel. Gabel, a senior, was also named a top-10 finalist for the 2019 Patty Kazmaier Award last week. Gabel was named a top-10, and then a top three finalist for the Patty Kazmaier Award last season. 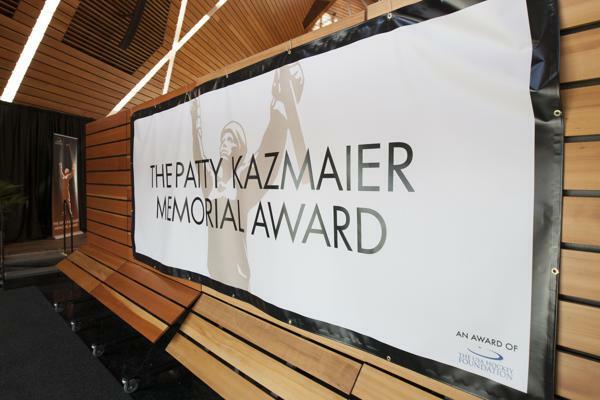 Giguere and her Clarkson teammates were in attendance during last year’s Patty Kazmaier Memorial Award ceremony and brunch. While Gabel didn’t win the award — it went to Daryl Watts of Boston College — Giguere enjoyed supporting her standout teammate during her big moment. Giguere and Gabel push each other so much that they are ranked first and second in the nation in the scoring race. Gabel trails Giguere by two points with a league-high 34 goals and 61 points in 32 games. The teammates have combined for 57 goals, nearly half of Clarkson’s season total of 128 that ranks as the third-most in Division I.
Giguere did just that last season, helping Clarkson to a second consecutive national title. Giguere’s biggest goal of her freshman season was her 27th of the season — her last one — as the standout forward netted the game-winning goal at 7:55 of overtime in the championship-game victory against Colgate.